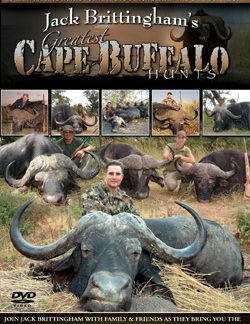 Dare to stand your ground as you face the biggest bears ever captured on point-blank hunting action. 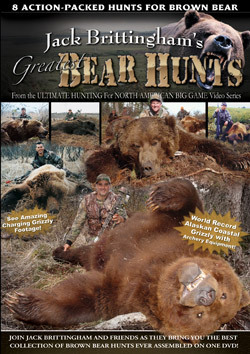 During 8 exciting hunts with Jack Brittingham and friends, you’ll witness the heart-pounding suspense of sneaking within bow range of two record-breaking brown bears, including the World Record. 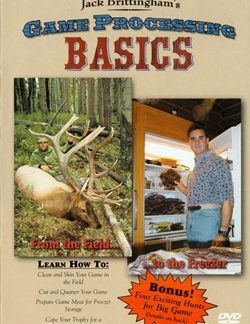 Learn how experts successfully bag the biggest predators in North America while avoiding the very real dangers of hunting these unpredictable creatures. 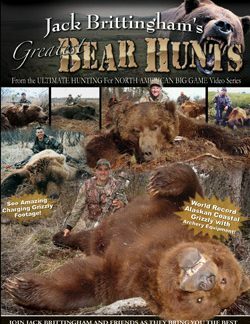 But don’t drop your guard for a second as this amazing collection of giant bear hunts includes a close range archery hunt that goes wrong in a final rush of charging brown bear. Caution: Not recommended viewing before going to bed in bear country.